I have long felt that John Ford's THEY WERE EXPENDABLE (1945), which I reviewed here last year, is one of the greatest war films ever made. 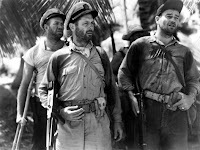 When I heard about Lou Sabini's new book BEHIND THE SCENES OF THEY WERE EXPENDABLE: A PICTORIAL HISTORY, I was amazed. An entire book of previously unseen photographs taken while the movie was filmed on location in Florida?! I could hardly wait to review it, especially as the movie stars some of my favorite actors, Robert Montgomery, John Wayne, and Ward Bond. I'm pleased to say the book did not disappoint. It's filled with the work of former Navy photographer Nicholas Scutti, who took approximately 150 photographs during the month-long shoot. That's Scutti along with star Robert Montgomery on the book's cover. 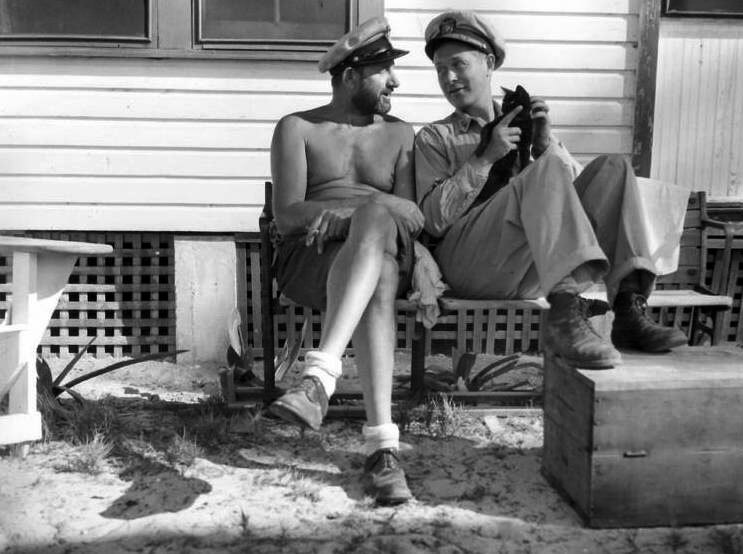 Scutti was just 18 when he took the photographs; in fact, he relates that he learned a great deal from MGM's official still photographer, Bert Lynch, who was also on the set. Scutti is still with us today and provided detailed information regarding each of the photographs in the book. He has a phenomenal memory of what he describes as "one of the highlights of my life." It's a truly fascinating chronicle of life on a working set on a tough, hot location shoot. 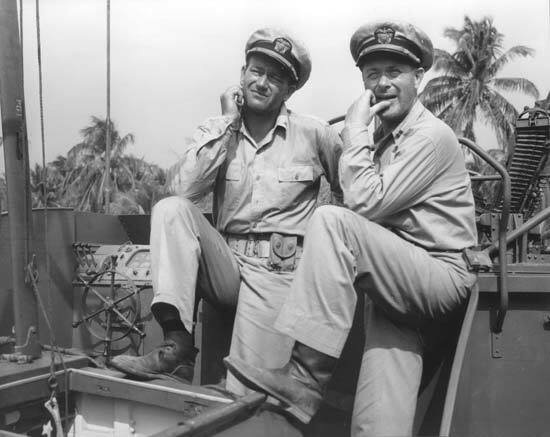 The book also captures more lighthearted moments, such as a set visit by actor Richard Barthelmess, then a lieutenant commander in the navy. 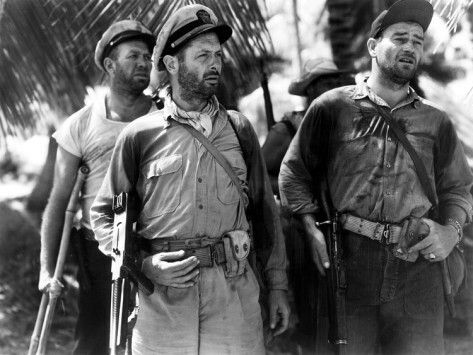 *On Robert Montgomery: "I thought a helluva lot of him...I thought he was one of the nicest guys on the set. He was very quiet and, for the most part, kept to himself, but never would I say he was 'stand-offish'...He was a very nice guy...As a matter of fact, I think I would rate him as number one on the set." It's also interesting to read, given Montgomery's nice guy reputation, that he did not get along with Ward Bond, who was a fine actor but had a reputation for being, shall way say, immature. 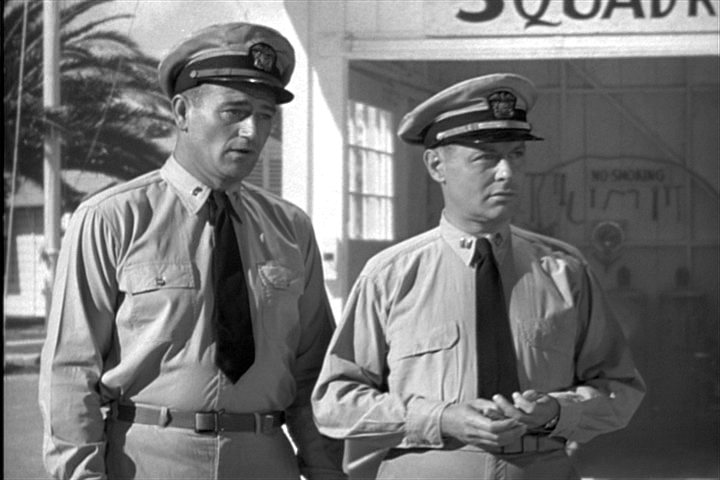 *On John Wayne: "Friendly, happy, smiling, cooperative...always had time for us." Incidentally, there are some very interesting photos depicting Wayne interpreting Ford's directions in Spanish to Filipino extras. *On actor Jack Pennick, who played "Doc" and also served as an assistant to John Ford: "Now, there's a guy I can't say enough about. I don't know what he got paid, but whatever it was, it should have been at least double! He worked more than anyone on the set...whatever Ford wanted, Jack Pennick would oblige him immediately and efficiently." 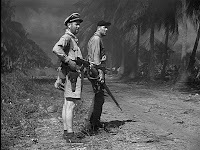 *Jack Holt: "Another quiet guy. He really took his part very seriously." In a caption later in the book Holt is described as a "friendly guy" who was happy to chat. Prior to the photos there's also an overview of the making of the film, which includes good quotes from historical interviews with Robert Montgomery. 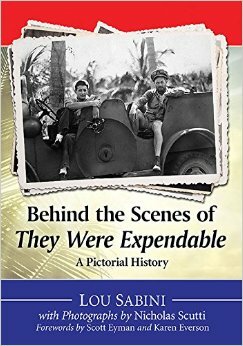 BEHIND THE SCENES OF THEY WERE EXPENDABLE is a softcover which is 197 pages long, including the index. The many photos are printed directly on the book's non-glossy pages, but the print quality is good. My only criticism of this book is that, like so many books published these days, it was not reviewed with care prior to publication, so we end up reading that John Wayne was born in Winterest, Iowa (rather than Winterset), that Robert Montgomery directed LADY IN THE LADY, and so on. That said, it's easy to overlook those minor flaws as the book is otherwise a treasure trove, a valuable piece of film history which will be especially appreciated by those who love John Ford and the cast members. A recommended read.